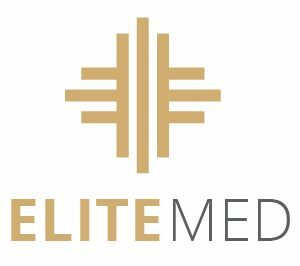 At Elite Med we have all your medical needs covered with our expert team of doctors and specialists who are able to help you with your medical diagnoses. We aim to provide you with the most affective treatments which are specifically tailored to your health and well-being. Some of our specialist services include our advanced cosmetic treatments with Elite Skin, our Gold Coast Hormone Clinic specialises in bio-identical hormone therapy, our sexual health enhancement specialist administers the latest revolutionary procedures, and our chiropractor specialises in the latest High Power Laser Technology. We are not your ordinary medical clinic, we offer a range of specialist services using the latest technology, our specialists and doctors are highly trained in their fields and are passionate about making tailor-made solutions for you to enjoy optimum health and wellbeing. We work together as a team, in one location, creating a holistic environment, and we are therefore able to track our patient's health together. Urgent appointments will be seen by the next available GP. Please advise reception if you believe you require an urgent appointment. Urgent Appointments will be triaged by the nurse on duty.